Here’s a real Carmen Miranda of a plant, an exotic bulb that’s got all the pizzazz of a tropical pineapple. Eucomis bicolor has just about everything going for it – it’s easy to grow, suffers very few ills, blooms late and seems to go with just about anything. Avoid too much shade which makes the leaves and flower stems long and floppy. A bit of sun will bring out the wonderfully spotty flower stalks. 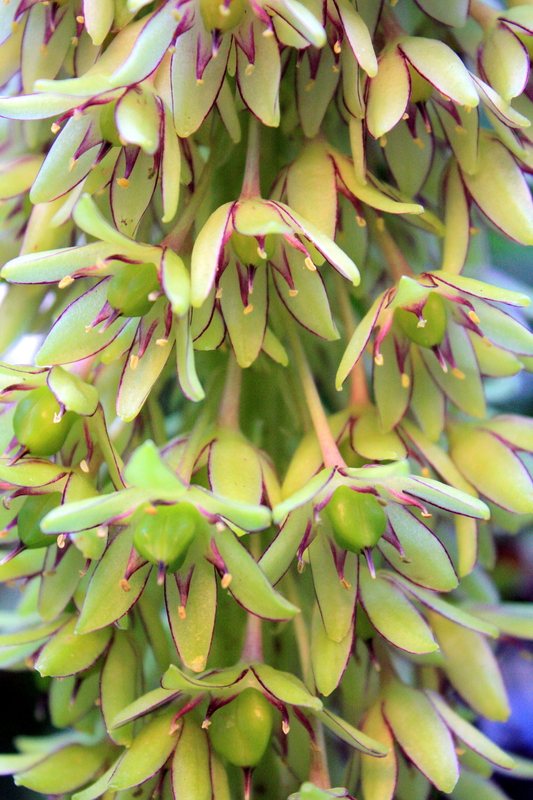 Interestingly, the Latin name Eucomis derives from the Greek eukomos meaning ‘lovely-haired’ and refers to the leafy topknot sitting above the flowers.